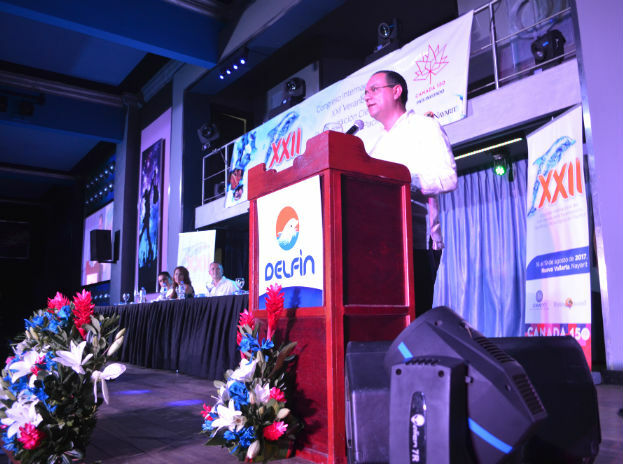 Mexico’s Pacific Treasure welcomed over three thousand participants to the XXI Dolphin Conference 2017 including students, technical advisors, special guests, and countries from the European Union, Colombia and Costa Rica. 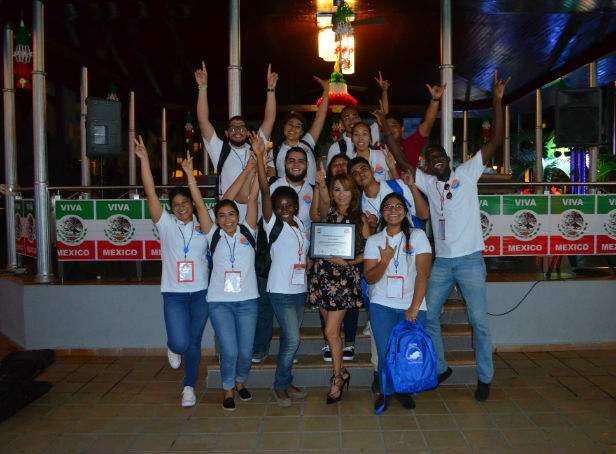 The XXII National Summer Conference for Scientific and Technological Research in the Pacific (Dolphin Program) took place in the Riviera Nayarit from August 16-19, 2017, and was focused on promoting the holistic development of the youths who participated. Approximately 2,700 students and over 300 academic researches, advisors and directors from more than 80 schools in 25 states of the Mexican Republic, as well as Colombia, Costa Rica, Germany, Estonia and Brussels participated in the event. Led by MVZ Carlos Humberto Jiménez González, General Coordinator of the Dolphin Program, and inspired by the phrase, “This year I’m adopting a scientist,” the organizing committee welcomed students, attendees and special guests during a cultural, artistic and scientific ceremony, with Canada singled out as the guest country. 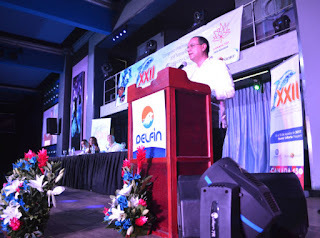 The schools and technical advisors who had been with the Program for 5, 10 or 15 years were recognized during a ceremony presided over by the rector of the Universidad Autónoma de Nayarit (UAN), Professor Ignacio Peña González, and Professor Carlos Humberto Jiménez González, General Coordinator of the Dolphin Program. Special guests included Stéphane Charbonneau, Canadian Consul to Mexico’s Western Region; Dr. Julia Tagueña Parga, Adjunct Director of Scientific Development for the National Council For Science and Technology (Conacyt, by its acronym in Spanish); Dr. Iván Escobar, Academic Vice-Rector of the Universidad Autónoma de Manizales, Colombia; and Dr. Angélica Aguilar Beltrán, Director of the Instituto Tecnológico de Bahía de Banderas. The organizers of the Dolphin Conference have chosen Mexico’s Pacific Treasure for the past 15 years for their event thanks to its infrastructure and connections, which allows thousands of students to exhibit the work that resulted from their academic endeavors during the 2017 National Summer Conference for Scientific and Technological Research in the Pacific. This time around there were 1,800 projects exhibited during the academic presentation, though the students also enjoyed sports and cultural activities, during which they spent time together and competed in a healthy and pleasant environment. 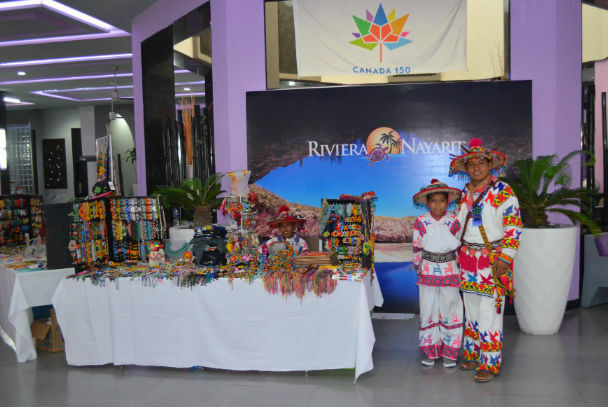 The Riviera Nayarit Convention and Visitors Bureau (CVB) lent their support for a Huichol Workshop, and there were beach soccer and volleyball tournaments with help from the Riu Jalisco hotel’s animation team. 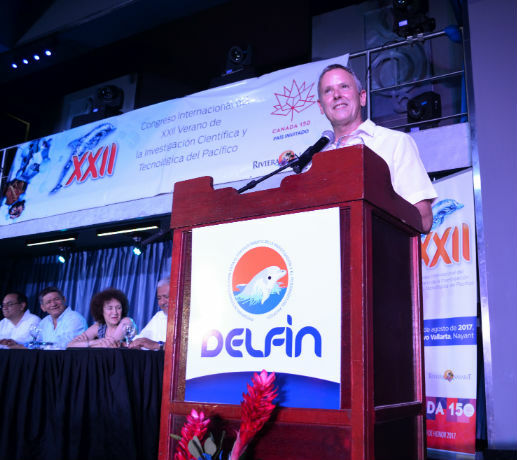 “The Riviera Nayarit CVB is happy to have helped with the Dolphin Conference for one more year, an event that has spurred the organization of academic conferences within the region,” said Marc Murphy, Managing Director of the Riviera Nayarit CVB. This year’s guest country was Canada, a country that’s celebrating its 150th anniversary and shared four important topics with Mexico: Respect diversity and inclusion; Care of the environment; Unconditional support for youth; and Commitment to indigenous tribes. Stéphane Charbonneau, Canadian Consul to Mexico’s Western Region, was on hand representing his country. He spoke about the participation of Canadian authorities in this postgraduate fair, which included five scholarships for exchange students to travel to Canada. By the same token, Rector Peña González authorized 10 economic scholarships so students from the UAN could travel to Canada for the exchange.